Today is International Youth Day. From the UN website, International Youth Day is a chance for ‘youth around the world to organise activities to raise awareness about the situation of youth in their country’. 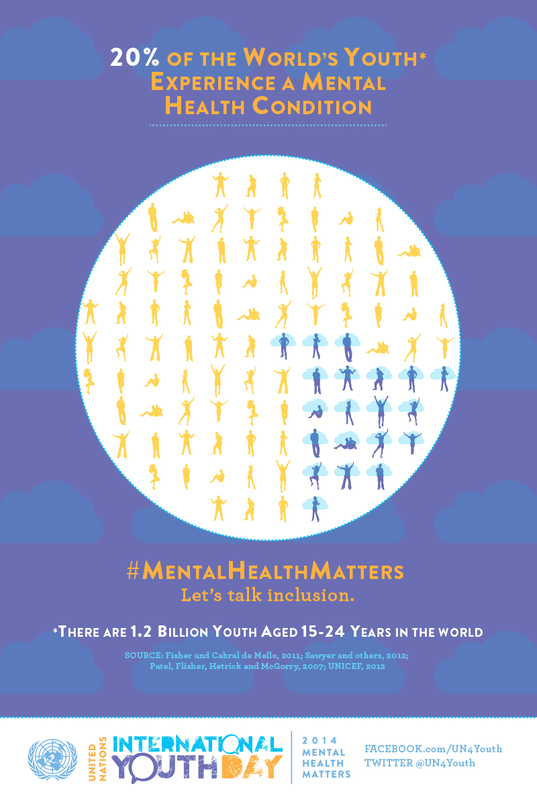 With 20% of youth worldwide experiencing a mental health condition, the theme for this year is ‘Youth and Mental Health’ under the slogan “Mental Health Matters”. But the mental health of young asylum seekers in detention in Australia does not seem to matter. As part of the National Inquiry into Children in Immigration Detention 2014, the Australian Human Rights Commission has held three public hearings to examine whether Australia’s treatment of children in detention meets international law obligations. As at 31 May 2014, there were 983 children in immigration detention. Witnesses, from health professionals to former child detainees, spoke of the effects detention has had on these children, including their mental health. Psychiatrist and former director of International Health and Medical Services (the organisation contracted to look after the health of detainees), Dr Peter Young, gave damning evidence suggesting that the rate of mental illness experienced by children in detention centres is 30% higher than those in community detention in Australia. Not including cases in Nauru, there were 128 reported acts of self-harm amongst children in detention between January 2013 and March 2014, including a further 171 reports of children threatening to self-harm. Dr Young explained that incidences of self-harm increase significantly in children who have spent more than six months in detention, suggesting the children should not be held for long periods of time – a view held by many witnesses at the inquiry. Perhaps most chilling is Dr Young’s claim that the Department of Immigration had attempted to cover up statistics about the mental health of children in detention. ‘I guess they reacted with alarm and have asked us to withdraw these figures from our reporting,’ he said. This only adds to the lack of transparency the government has had thus far with its policy on asylum seekers. But despite the evidence presented at the inquiry, Prime Minister Tony Abbott is unlikely to change his stance on asylum seekers. Except there is another way – perhaps we could stop putting children in detention in the first place. This entry was posted in News and tagged asylum seeker, in brief, mental health, News. Bookmark the permalink.